Some people argue that women only want technology when it goes with their outfit. This argument is ignorant, sexist, and somewhat rude. The new developments in wearable tech jewelry are not just about making technology fit what women want but they are about a wider change in how we approach technology in general. We are all interested in technology that seamlessly integrates into our lives without being easily detectable. We want the tech items that help us run our lives integrated into other objects, hence, the smart bikes, smart watches smart bags, and smart luggage. We’re now seeing the first wave of completely hidden technology as microprocessors become smaller and smaller. So it makes sense that technology innovators are shifting their focus on jewelry. First, jewelry is meant to be durable which makes them pretty sturdy housing for electronics. Secondly, their prominence on our bodies make them ideal places to pack all sorts of essential technology to give us easy access to everything from heart monitors to Bluetooth capability. These 9 pieces of smart jewelry represent the latest of wearable tech innovation – but this is just the beginning, we expect more to come. The Wristify bracelet will be a testimony that wearable tech doesn’t begin and end with connective devices. The bracelet will be able to change the body’s internal thermostat by producing cooling or heating sensations on the wrist. That sounds a bit odd, but the application of a little bit of localized cold or heat can help your whole body feel that way. It’s like wetting your face in summer, or wrapping your hands around a hot drink on a freezing day. It also looks amazing. The bracelet was developed by four MIT students and is yet to be launched and, therefore, there’s no price yet. 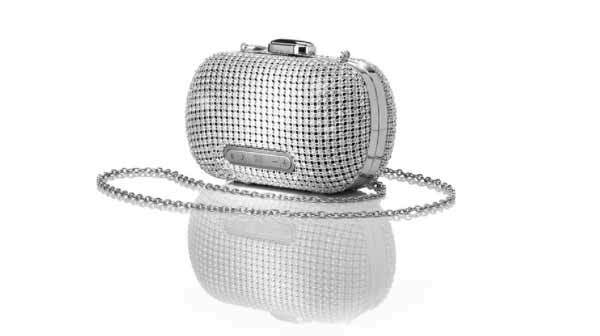 Stelle Audio mini-clutch has enough bling to make it more than just jewelry. This clutch purse technology is for those who want the audio capacity and a place to stash their ID. It is a functional clutch that also utilizes the highest level of mini-speaker technology, including a speakerphone for calls, cable-free Bluetooth connection, and a USB for charging. It costs $260. Shine bracelet and watch from Swarovski is a masterpiece that integrates crystals into a bracelet. Shine bracelet and watch is a crystal-encrusted accessory which doubles as a sleep monitor and a fitness tracker. It also has a watch function. You just need to tap the bracelet twice and it suddenly turns into a watch. It will drop this July and is costing $169 on pre-order. This ring is produced by Ringly who are pioneers in smart jewelry. The ring helps you stay connected by vibrating when certain notifications happen on your phone, from scheduled reminders to calls. You can customize the things you want it to remind you about using an app. 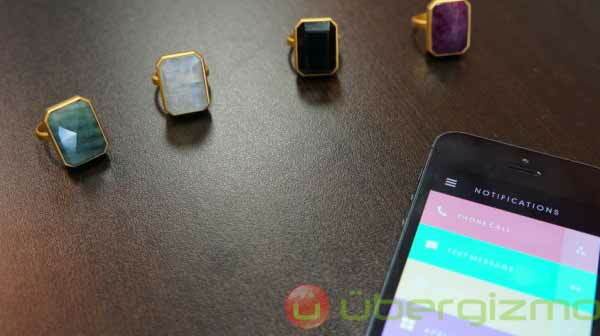 Using this ring, you will no longer need to check your phone all the time. The ring costs $195 on pre-order. This smart cuff is great if you are the kind of a person who likes to call up friends on your phone when walking home at night just to feel safe. Press the cuff for 2 – 3 seconds and it will send an emergency message to a network of people you have chosen. These people will be able to view your location via GPS and coordinate via group text or call 911. The cuff has a Bluetooth connectivity that links to your phone enabling it to notify you of all important alerts and emails that you receive. The basic model of this cuff goes for $49.00. These jewels are available as bracelets, rings or necklaces. 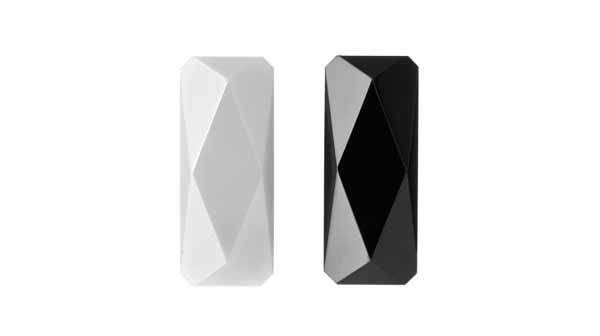 The jewels are made of ceramic zirconia, and contain a tiny circuit board that connects to your iPhone via the Kovert app which is highly customizable. Users can change the notification and connection settings to whatever they are doing. You can also purchase them simply as stones on their own. Stones without jewelry mounts cost $168.50. This has more to offer than the typical band-based physical fitness trackers. It is excellent to those who want to get pregnant or to those who want to monitor their fitness and sleeping levels. It tracks menstrual cycle, heart rate, sleep patterns, and activity levels. It also provides exercise advice and fitness guidance via an iPhone app. The band has a very long battery life. You only need to charge it after every 6 months. It costs $119.00 on pre-order. If you are working in an environment where chunky fitness bracelets don’t fit, then Tory Burch Fitbit is for you. It is great for lawyers, executives, and other women who work in decidedly formal corporate offices. Burch Fitbit is sleeker and more elegant than the standard Fitbit bands. The high-end bracelets retail for $195.00. 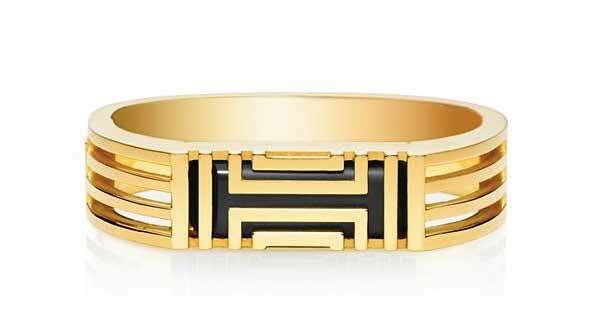 The MICA bracelet is as a result of collaboration between Intel and Opening Ceremony. 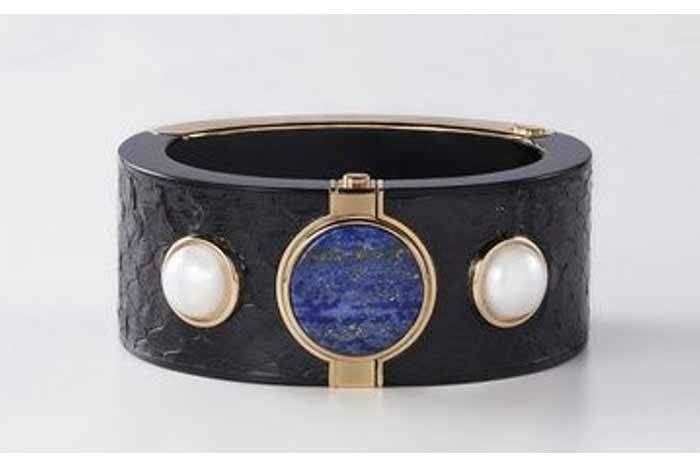 It is made with the most high-end elements including 18k gold, obsidian, lapis, snakeskin, pearls, and sapphire. This bracelet is for people with luxe tastes. It comes hooked up to a variety of apps. MICA bracelet can help you read Refinery29 updates, search local restaurants and stores via Yelp, and get iPhone notifications, Facebook and Gmail alerts. Being this fashionable doesn’t come cheap, it costs $495. Disney Plans to Launch Smart, Wearable Toys!